I am just waterproofing gear ready for winter. Mainly Motorcycle orientated but also the family's walking coats etc. I looked at the Nik Wax /wash products which I have used before - but teh concept of a washing machine applied waterproofer doesn't really "wash" with me. I am going to try Fabsil Universal waterproofer 5L from Amazon for around £25 but am also open to alternative suggestions. As a surface dressing this was only about £3.00 from Aldi in the bike accessory section. Cheap enough to take a punt at. Alternatively, buy ex-army Gortex trousers (£15) and jacket (£25) from on-line and never get wet again! Nikwax is great and works. You must keep clean to breathe and waterproof. what follows is NOT a joke. There was a member called Corbyn on the ABR forum. He used a spray-can reproofer on his bike kit, and inhaled some of it. He had then had terrible breathing difficulties, and was rushed to hospital where he nearly died. The doctor saved him (only because the doctor was a motorcyclist and knew about the product), but he was left with no lung capacity and had to have an oxygen bottle. The product had sealed his lungs. He was on the heart/lung transplant list for a while, then got taken off because his condition was getting worse. His posts on the forum became less and less frequent. Then they stopped. So, if you must use a reproofer spray, do the deed outside and wear a mask. And the warnings on the tin are not 'elf n safety gorn mad' they are if anything an understatement of the dangers of these sprays. So, be warned. And please don't try to tell me this is nonsense...it is true. I only use wash-in or wipe-on reproofing products. I totally agree with Richard , best be careful with some of these products . I used to be a little involved with the building game and used to use a wall waterproof product from a very well known firm, the instructions on the old can used to say it could also be used to waterproof clothing . I used it for some time on jackets and the lower legs of army Goretex and yes it did totally waterproof the clothing, the fumes from the product were so strong that the clothing had to be air dried For days to loose the odour . The product is still available but no longer carries the may be used on clothing info. 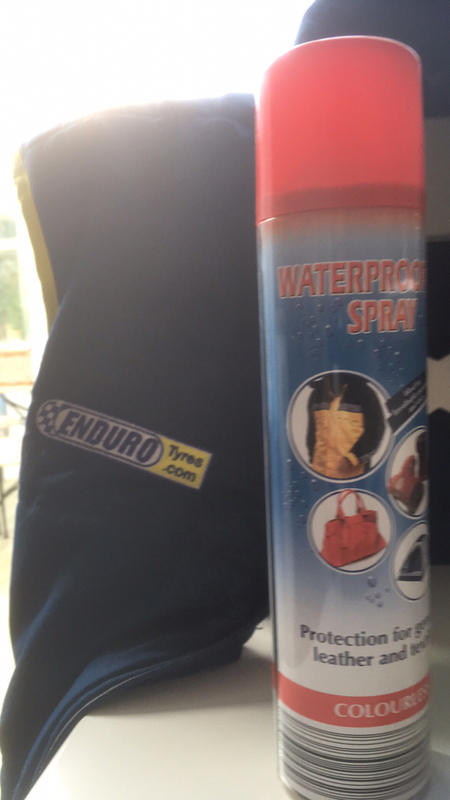 So if you have an old can of wall waterproofer, that says it can be used on clothing .Forget it and buy a modern waterproofing system , stay safe on this one. It's amazing just how much toxic shite you can buy for trivial uses. We recently moved to a house previously occupied by an elderly couple who were 'traditional' gardeners: ie if it moves, spray it! At a conservative estimate, we found enough toxic material in the garden shed to kill the entire village 10 times over.